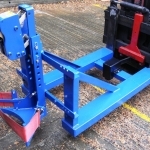 The Grab-O-Matic Single Drum Handler model 1-DLR is suitable for all steel open top and tight head drums, plastic ‘L’ ring drums and most fibre board drums and is attached to the forks with zinc plated ‘T’ bolts, it can be converted to a 2-DLR double drum handler with the addition of a pillar and gripping head if drum handling production increases in the future. 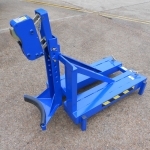 Single drum handler rim gripper that fits directly onto the carriage of the fork truck. 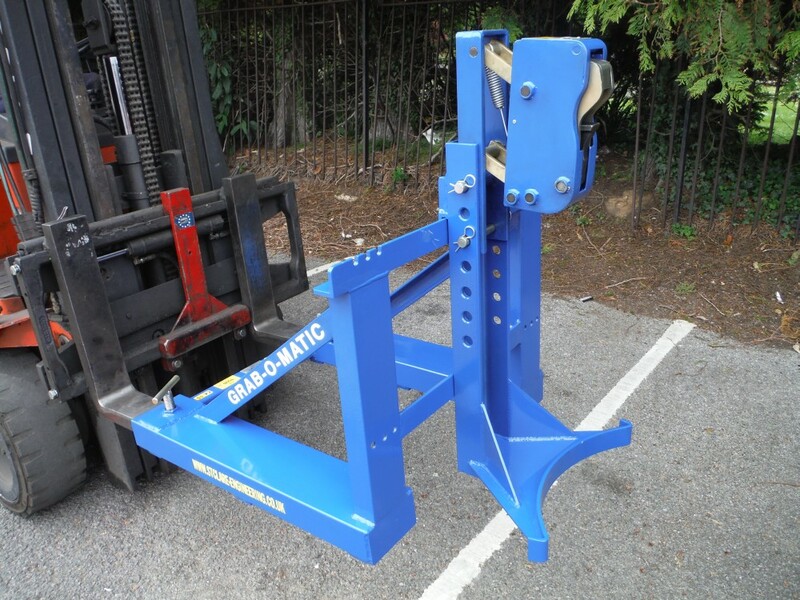 Fork attachment special single drum handler with rubber fender drum support. 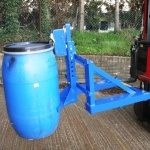 A single drum handler suitable for handling open top plastic / Mauser drums. 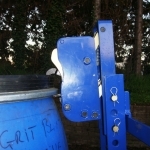 Gripping head suitable for handling open top plastic / Mauser drums. 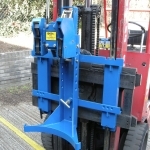 Twin head single drum handler that fits directly to carriage of fork truck. 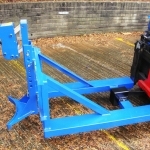 Quick attach-release single drum handler fork attachment. 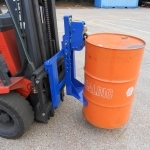 Quick attach-release single drum handler fork attachment with webbing drum protection.